Although the sizes may be the same, not all storage unit facilities are like. You owe it to yourself to visit a few storage units to see which is the best fit for your situation. Not only do you want to take in the size of the unit and rates but also security measures, cleanliness, temperature control and customer service. If you’re put off by any one of those things, then you should consider moving on to another facility. Security should be a major concern when renting a storage unit. Too often, these facilities are vulnerable to attacks by burglars and a lot of the times, they are “inside jobs.” Just because you have a padlock on your unit doesn’t mean it’s completely safe. A good pair of bolt cutters can make short work of any padlock. Cylinder locks that have no exposed hasp can’t be cut by bolt cutters. Some storage units have security alarms on each unit. That means only a person with access code can get into the unit. You also should check out the video feeds. Any facility that doesn’t take security serious is not a place that you want to put your stuff. 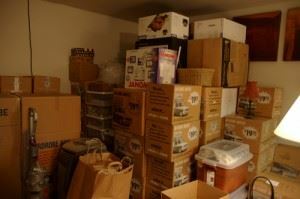 Most every storage facility is going to offer great rates to get you in the door. But lo and behold, those rates end up rising after a few months. Read the fine print and find out just how long you get to keep that great rate and what the jump is expected. Whatever the answer is it should be in writing. If you can get a written contract, then move on. Before you transfer any stuff from your home to a storage unit you want to make sure you’ve already gotten rid of the rubbish. A session with Junk King Nashville can take care of that excess rubbish. They’ll send over a team of movers and a big truck capable of hauling away anything you want to get rid of. Don’t put your clutter in storage. Instead, give it to Junk King Nashville. This entry was posted in Nashville Junk Removal and tagged Junk King Nashville, junk removal, storage unit on July 25, 2017 by Junk King. Last updated July 25, 2017 .